Moneytrans is no new comer to the financial sector. With nearly 20 years of experience in high-speed international money transfer, we are recognised for our expertise in everything we do. Based in Europe & Africa, our goal is to connect people and enable individuals, families and companies to transfer money in the most convenient way and at the most affordable prices. Tech savvy, Moneytrans has a strong commitment to try new things. Being member of the association “Fintech Belgium” (country of our headquarter) which gathers professionals interested in disruptive business models using new technologies for the financial industry, we strive to improve and expand our service capabilities. 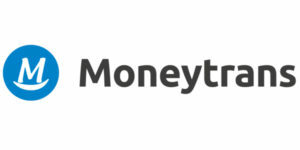 In 2016 we successfully launched our digital offering “iMoneytrans” dedicated to both individual & corporate customers, taking advantage of our many years of field experience. We strongly believe in a Hybrid model which enables the customer to elect his preferred channel according to his own affinities whether economical, technical or cultural. 2017 will mark another important milestone on our path towards a wider and stronger service offering. After being granted an extension of our Payment Institution license, we have successfully been registered in January 2017 as a full member of SWIFT. This will enable us to provide our customers with personalized payment accounts under IBAN format. This new quasi-banking service will greatly complement our existing business line and hence further contribute to the financial inclusion of our underbanked migrant customers whether in Europe or in their country of origin. As we work on our own adaptation & development strategies, we understand that collaboration is a must. So we are proud to say we are open to the world to learn from our experiences and build with us on collective accomplishments. At Moneytrans we possess our own payment & remittance platforms that we can offer to our partners, or perfectly adapt to any existing platform in the market. We can manage the integration, testing and roll out of solutions with basically any MTO, MNO or Bank in the world. At Moneytrans people are at the heart of our business success: teammates, customers & partners. We work at never letting them down. Team work, synergies & financial inclusion are key concepts to us, not because they are trendy topics but because we have been working hard through all these years to create bridges between online & retail, B2C & B2B, tradition & fintech so as to deliver tangible improvements to people’s lives. We just celebrated our 45th million transaction, with more than 5 million happy customers thanks to this great commitment. It comes as no surprise that our leitmotif is: Making People smile!